Wana (Iraq) (AFP) - Amid growing talk that Iraq's largest dam risks bursting, residents of the town of Wana, which would be wiped out within minutes of a breach, are both sceptical and anxious. 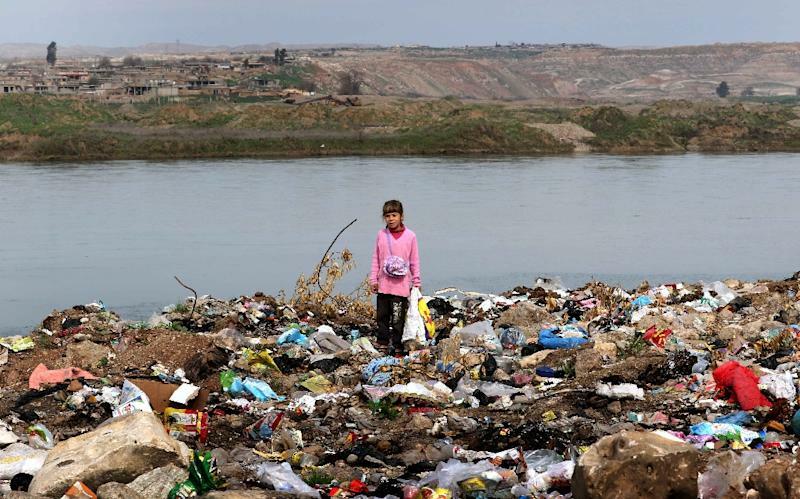 Wana lies a bit more than 10 kilometres (six miles) downstream from the Mosul dam on the Tigris river, the first town on the path of a possible doomsday wave. A major failure of the dam would unleash millions of cubic metres of water down the valley and Wana would be swept by a wave experts say could reach more than 15 metres (50 feet) in height. Yet life goes on as usual in the small town of around 10,000 inhabitants where children continue to play and cows to graze on the shores of the river every day. 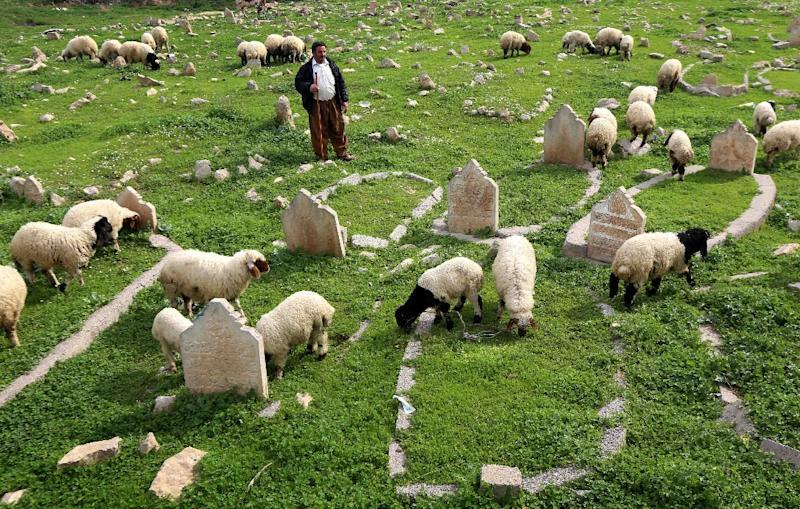 Some residents choose to trust the local authorities, who have downplayed alarming assessments by the Iraqi prime minister's office and the US army. "We are relying on Iraqi experts who tell us there is no risk the dam will burst. That is all media hype," said Fadhel Hassan Khalaf, a 52-year-old civil servant who remembers when the dam was built in the early 1980s. The US embassy recently released an overview of a breach scenario and said 500,000 to 1.47 million Iraqis living in areas most exposed to the flood wave would probably not survive if they were not evacuated. People in the Mosul and Tikrit areas would have to move five or six kilometres away from the riverbank to reach safety, it said. Bashir Ismail, 63 years old and a father of 13, owns a small convenience store on Wana's main street. "If the dam was going to collapse, they would have told us to leave the area... It's impossible that they would not tell us," he said. Zyad Saeed was less sure. "I won't lie to you. 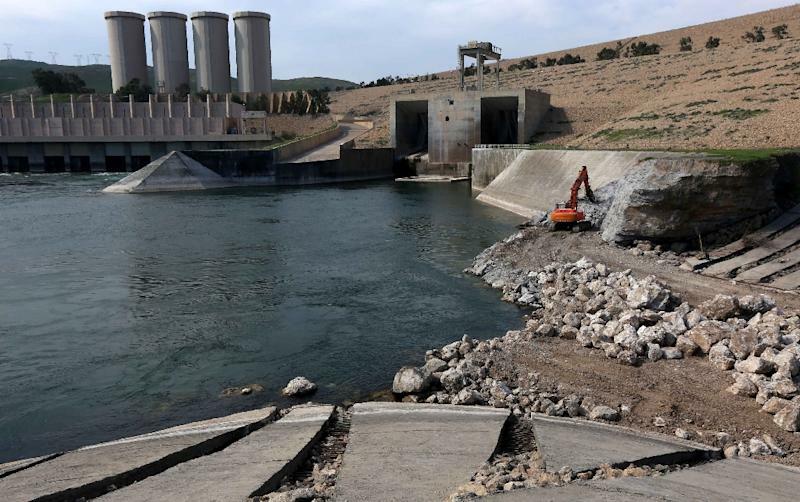 We are now very scared that the dam will collapse, and many residents are thinking of leaving their homes and moving to Kurdistan," the young man said. Early this month, a contract was signed between the Iraqi government and Italian company Trevi for the repair work needed to prevent a disaster. The pressure on the dam is increasing as melting snow feeds the reservoir and technical teams are expected to start work immediately. "I don't know what to do, there is Daesh on one side, their trucks could just roll in," Saeed said, using an Arab acronym for the Islamic State group. "And on the other side we have this dam that could collapse," he said, gazing at the river. The jihadist organisation that swept across Iraq in 2014 briefly took the dam, which is now under the control of Iraq's Kurdish peshmerga forces. "After the dam was taken back from Daesh, we carried out some tests on the foundations. There was no indication that the dam was at risk," Mohsen Hassan, the deputy head of the dam, told AFP in his office there. Prime Minister Haider al-Abadi is taking US warnings seriously though and the contract awarded to Trevi is for $300 million (273 million euros). The US Army Corps of Engineers have said that "in terms of internal erosion potential of the foundation, Mosul dam is the most dangerous dam in the world." The mayor of Wana, Ali Mohamed Saleh, said there had been no official alert or evacuation plan from the government yet. "So far, the situation is normal here," he said. "But if the dam collapses, we will not survive anyway."